Easy to refill! Never run out ink! Save Money! Refilling is easy! 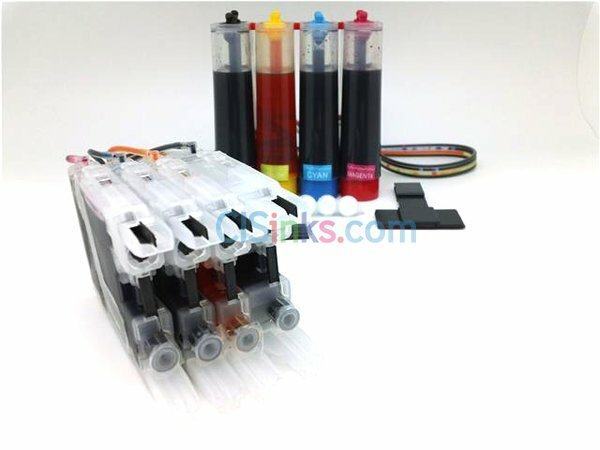 All you have to do is remove the rubber plug on the top of the cart, inject ink until full, replace the rubber plug, and you are ready to go. No more buying expensive manufacturer cartridges. Normal ink cartridges limit the number of prints by presetting the maximum number of prints on the “Smart Chip.” With our ink cartridges, you can continue using the same cartridge again and again! Manufactured in ISO 9001:2000 Certified Factory! We will provide a 30 day warranty and full customer service. You may need modify your printer prior to installation. Also, you must install your demo cartridges (the cartridges that originally came with the printer) in order to initialize the machine. It's EASY! 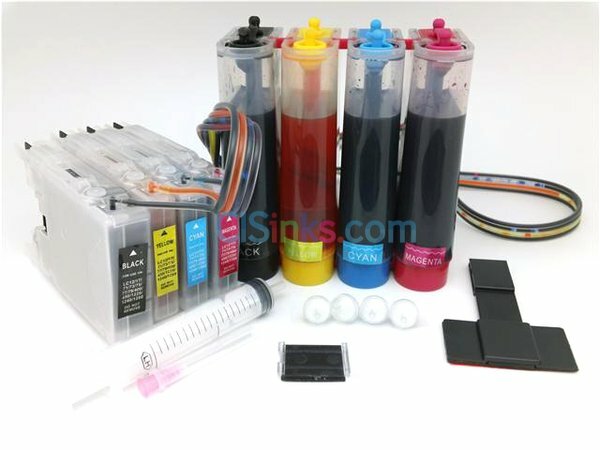 Just simply purchase a new supply of any color before you run out of ink (at least 10% ink left in the outer tank) and just pour the ink into the outer tank. 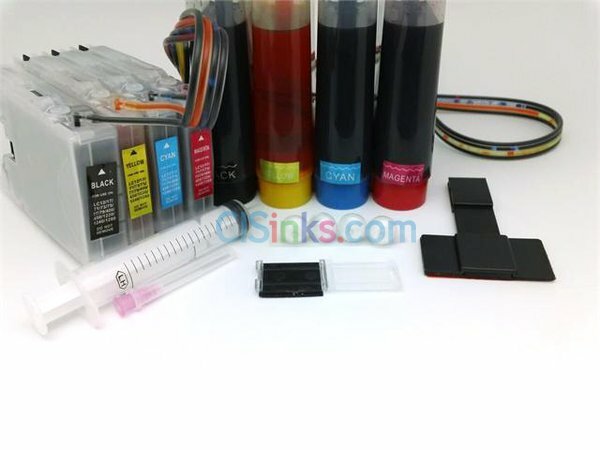 We recommend to use our same quality refill inks. It was great and working well. Instruction that came in the ..